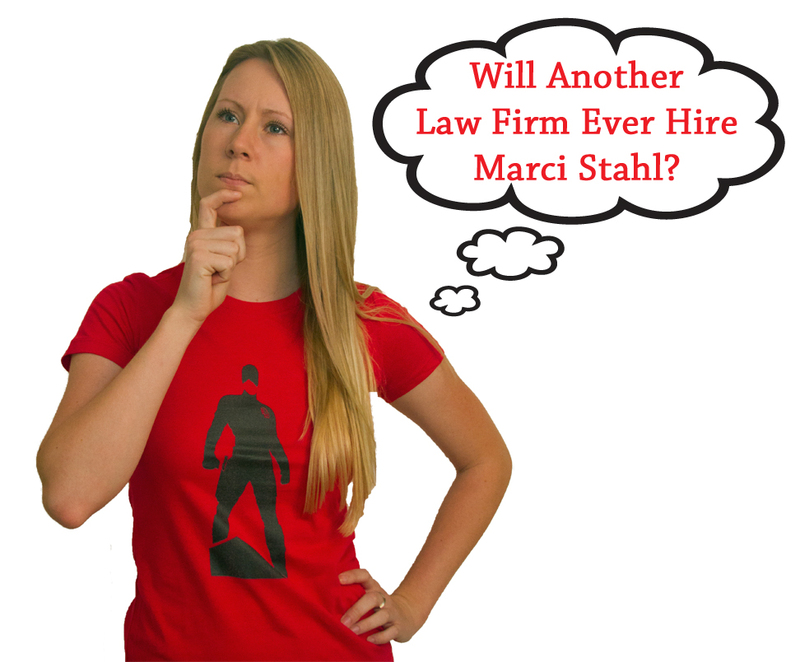 Marci Stahl, Esq., a [fictional] attorney at the [fictional] “Big Law Firm” Landman & Zack, is a case study of attorney ethics on Marvel’s Daredevil series on Netflix. Landman & Zack is the mythical law firm we heard about in law school. First year associates probably are paid $190,000 a year, have to bill 720 hours a month, and represent morally ambiguous clients, like a Japanese whaling company. Some poor lawyer has to say with a straight face, “My client is simply conducting research, tasty research,” in a defamation and harassment suit against environmental activists. These lawyers learn to live without having a reflection thanks to suits made from endangered species. For the lucky few who do not have a nervous breakdown, they have the option to go to the Carousel at age 35, with the hopes of becoming a junior partner. Enter Marci Stahl, Esq., the former girlfriend of Foggy Nelson. Ms. Stahl admits to “Foggy Bear” Nelson that Landman & Zack represents Wilson Fisk, the crime lord who is not yet called The Kingpin. Fisk is the law firm’s highest billing client. Nelson confronted Stahl that her firm was aiding Fisk in a criminal enterprise. Furthermore, Nelson went so far as to say Stahl had lost her soul at Landman & Zack. Stahl responds by sneaking Fisk’s client files out of Landman & Zack and giving them to the law firm Nelson & Murdock. Marci Stahl’s actions are a piñata of ethical issues. Attorneys have a duty to counsel a client to NOT engage in illegal conduct. New York Rules of Professional Conduct 1.2(d). Furthermore, a lawyer may refuse to participate in conduct the lawyer believes to be unlawful. New York Rules of Professional Conduct 1.2(f). As stated in comment 10 to Rule 1.2(d), lawyers are to avoid assisting a client by preparing a fraudulent document or concealing wrongdoing. As such, a lawyer should advise a client if the requested conduct would violate the law. Id. If a client will not change their conduct and the lawyer’s participation would violate the law, the lawyer should withdraw from the case. Id. Moreover, there are cases where a lawyer would have to disaffirm any documents prepared for the client. Id; Rule 1.6(b)(3); Rule 4.1, Comment . New York Rules of Professional Conduct 1.6(b). Ms. Stahl turned over information to Nelson & Murdock without the knowledge of her firm or consent of her client. The information was clearly “confidential.” However, it was also evidence of racketeering. As recognized by New York Courts, the “intent to commit a crime is not a protected confidence or secret.” People v. DePallo (2001) 96 N.Y.2d 437, 442. Landman & Zack’s work product is likely key evidence in the racketeering charges against Wilson Fisk. The fact lawyers assisted a criminal enterprise would make them part of a conspiracy, and subject to immediate disbarment if convicted. Attorneys have been charged in the past with racketeering in violation of 18 USCS § 1962(c), so this is not the stuff of comic book stories. See, Wade v Gaither (2009, DC Utah) 623 F Supp 2d 1277. Stahl’s best argument for turning over client confidential material to Nelson & Murdock is that she engaged the firm to secure advice on compliance with her ethical duties and whether her client had broken the law. While this argument is problematic since the firm Nelson & Murdock had been adversarial to Wilson Fisk, thus on its face should violate Stahl’s duty to loyalty to Fisk, it is the least bad position for her. The better plan would have been turning the material over to the FBI in order to prevent her client from committing more crimes. However, with the way anyone who opposed Wilson Fisk kept ending up dead, it was objectively reasonable for Stahl to work with another law firm. Next articleDid Selina Kyle Commit Murder or Act in Self Defense?